ties | what the fwaah? random thoughts to confuse and enlighten. When a man wears a tie. He feels so much better about himself. For example, if I was about to take a test on “the velocity of six trains traveling away from each other at 6000 mph and they were traveling in perpendicular courses, what color is my daughter’s sweater vest?” I would feel completely lost. Certainly the information given does not give me the answer to the question. However, with one simple knot I know the answer. Brown. And it looks good on her. Certainly, you say, certainly this tie can not just boost all aspects of your knowledge on life, liberty, and everything! But yes. Yes it does. A well-dressed man can accomplish anything. anything. I guarantee that the man who cures cancer wears a tie. The gentleman that solves the food crises will be nicely dressed. Norman Borlaug. Legitimately solved the food crises. Has saved millions of lives. And you've never even heard of him. 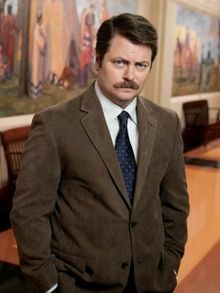 Ron Swanson. Man. "You may have thought you heard me say I wanted a lot of bacon and eggs, but what I said was: Give me all the bacon and eggs you have." Doesn’t matter. 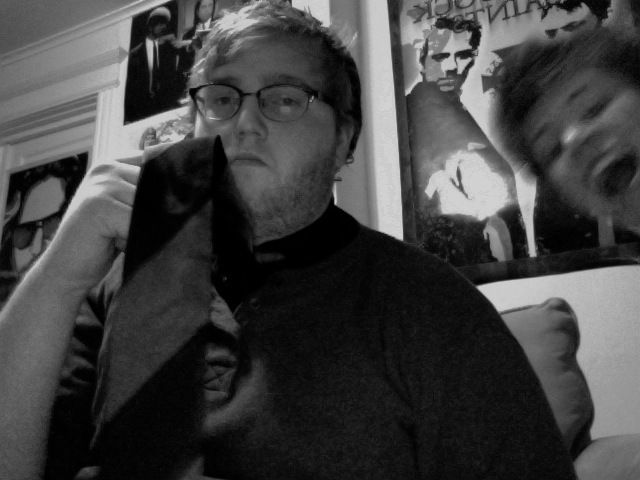 I’ve got a tie on. Comments section is open to all.